If you’ve ever tried to account for Amazon sales using Seller Central reports or settlement data, then you’ll understand how much of a hassle this can be – especially as your business starts to scale. 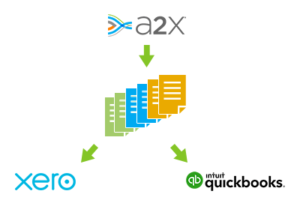 A2X is a software plugin that integrates your Quickbooks (or Xero) cloud accounting system with Seller Central. 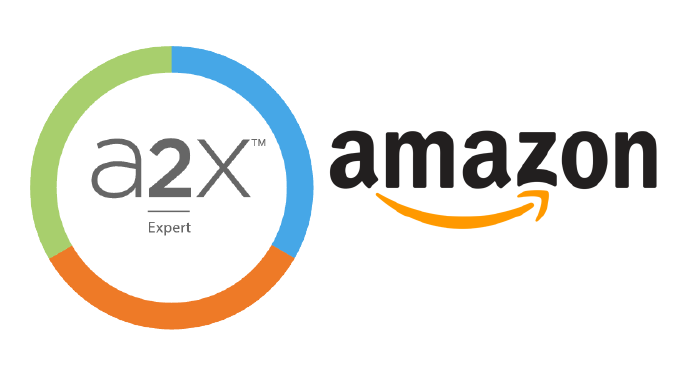 In this article, we take a deeper look at how A2X works, why growing Amazon businesses should consider using A2X and what it takes to get set up. Most sellers are paid any revenue less fees by Amazon once every fortnight. Information about these payments is published to a settlement file that can be found in the Seller Central platform. 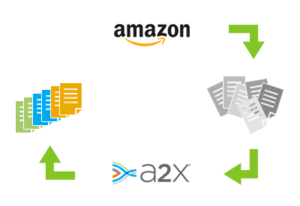 When Amazon creates a new settlement file, A2X automatically fetches it, crunches the numbers and generates a summary of the revenue, expenses and other transactions (such as referral fees, storage fees and returns). A2X then uses this information to create invoices or journals for each settlement and posts them to your cloud accounting system – either automatically or at your command. You can then select the ledger accounts and tax rates that apply to each type of transaction. A2X allows users to configure sales by SKU or product type, and to group all sales together, or to configure it by country. When settlement payments arrive in your bank account, it is easy to reconcile them with the A2X settlement postings with just a few clicks. Sometimes Amazon settlements span across two months. This creates untold headaches for sellers and their accountants. When this is the case, A2X separates the transactions for each month and posts them as two sets of entries – making it easy to compare your Amazon sales information from month to month and year to year. A2X can also calculate your FBA stock value, cost of goods sold, and provide reports on where the inventory is located. For US and pan-European FBA sellers, this information is vital for determining where you have sales tax nexus. Why should Amazon sellers and their accountants use A2X? Download the settlement file from Seller Central and manually enter this information into your accounts (time-consuming). Simply record the amount received from Amazon as revenue (inaccurate). Both of these approaches have major shortcomings that A2X elegantly solves. By using A2X, sellers can feel comfortable knowing that their financials are accurate, organized, automated and reflect the reality of what’s actually going on in their business. A2X uses the accrual accounting method. By using the accrual basis of accounting, sellers are able to make more accurate comparisons between various time periods and sales channels. As an added bonus, if you ever decide to sell your Amazon business, the accrual method will provide potential buyers with a much better idea of the short term assets and liabilities that they are considering whether to purchase. Due to the fact that Amazon pays merchants after the sale has been made, the accrual basis tends to result in larger net profit figures (and therefore a higher valuation). By removing the possibility of human error, potential buyers can feel at ease knowing that rigorous systems are helping to create an accurate set of accounts. Set up your Google account login. Connect to an Amazon marketplace. Connect to your accounting system. Complete your account and tax mapping for each type of transaction. Send your first settlement invoice or journal to your accounting system. Sellers often begin using A2X after incorrectly handling their financials for months or years. A2X can easily solve this problem by importing the Amazon settlement history and generating a set of accounts that are easy to reconcile with payments received. Integrations like A2X are helping to simplify business operations. In the coming years, we are likely to see the ‘API economy’ automate away large chunks of the workload involved with running an organization. As our lives become more entwined with technology, the benefits of well-designed software solutions are going to become even more apparent. Rather than trying to be all things to everyone, A2X focuses on doing one thing extremely well. To find out more about how A2X can help your business, feel free to visit our website or sign up for a free trial today. 8 Fishbowl Part Types: Which Should You Choose? Is Sales Tax Compliance Making Your Head Spin? 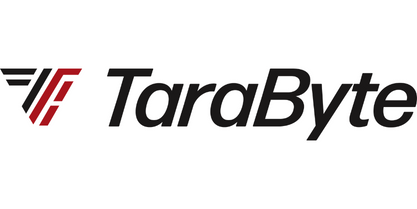 TaraByte Solutions has been providing expert QuickBooks consulting and accounting services to small and mid-market firms since 2001. Our focus is the selection, sale and implementation of inventory solutions. Join the many retail, wholesale, manufacturing and e-commerce businesses that count on us for scalable best-of-breed applications. One of our Fishbowl Inventory and QuickBooks experts will be happy to help. Need Help? Schedule a Remote Session Now! From tips and tricks and best practices to exclusive discounts, software & security notices, we'll get you the information you need to make the most of QuickBooks and Fishbowl Inventory.